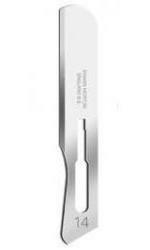 Founded in Sheffield, England during 1932, Swann-Morton have become a world leader in the manufacture of surgical blades, scalpels and handles. It is a name respected globally for quality, precision, consistency and reliability and recognised for combining traditional blade making skills with the latest technology. Download Flyer for your purchasing department here! Incredible discounts from 20% to 30% off the already low prices shown, even for small quantities - click on a product to see how much you could save! Most of these Sterile Stainless Steel and Carbon Steel Blades are in packs of 100. 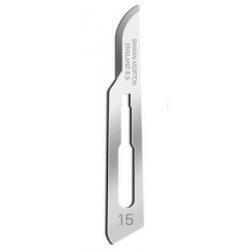 Sterile Disposable Scalpels with Blades are packs of 10. Beware of seemingy lower prices for similar products which are not genuine Swann-Morton manufactured, in smaller pack quantities and not sterile.